Generating passive income is a universal goal of investors, especially real estate investors. The ability to generate income without materially participating in the business is appealing, because it allows investors the time and resources to do other things. Most of all, real estate investors often aim to fund retirement with passive income, and generate cash profits throughout their entire retirement life. So what is passive income, and how can investors generate passive income with rental properties? We answer these questions with information from Investopedia, and IRS documentation. Passive income is earnings an individual derives from a rental property, limited partnership, or other enterprise in which he or she is not materially involved, according to Investopedia. Though passive income is usually taxed, it is typically treated differently than active income by the IRS. 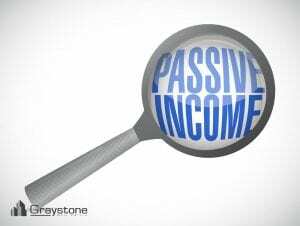 Colloquially, “passive income” is used referring to earnings resulting from little to no effort by the person receiving it. But, this generalized definition does not fit the use of the term in a technical sense. In contrast, the IRS defines passive income as coming from one of two sources: rental activity, or a business in which the taxpayer does not materially participate. Refer to IRS documentation and consult your tax professional for exceptions to these two sources of passive income, which can include self-rental income and leased land. Rental property is generally considered to generate passive income, though there are some exceptions. Yet, income from leasing land doesn’t qualify as passive income. Despite this, a land owner can benefit from passive income loss rules if the property nets a loss during the tax year. As far as holding land for investment – any earnings would be considered active. From a personal perspective, passive income is advantageous for most people, because profits are generated without active participation. But from a tax perspective, passive income can have advantageous and disadvantages, depending on each taxpayer’s circumstances. This is because losses recorded on passive activities can only offset profits generated by passive activities, in most cases. 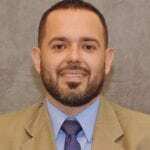 With this said, there are numerous exceptions whereby income from rental property can be classified as active income, which may be best for some taxpayers. Therefore, it is important that investors work with their tax professionals to ensure they are positioned in the best possible way from a tax perspective to take advantage of income from their investment property.